Best value on the market located within Holy Trinity, a quiet and historic submarket of San Pedro. This easy to own duplex consists of two detached 1bed/1bath units with functional layouts, laundry hookups, and a 1car garage for each. Both units are in good condition, one of which was recently remodeled. Plus, there is a backyard and each unit is separately metered for gas & electricity. These charming bungalow style homes offer all the amenities one looks for - what a great opportunity for investors and savvy owner-occupied buyers alike! 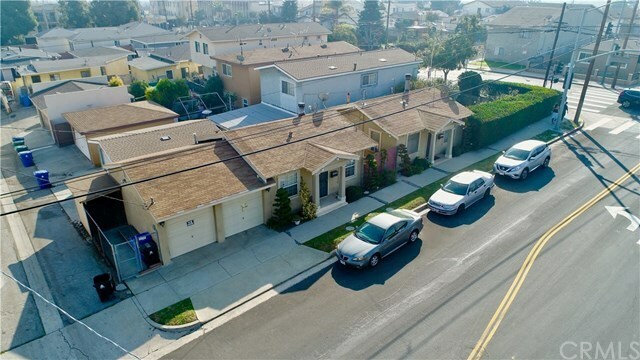 With close proximity to Downtown San Pedro and the LA Waterfront (less than a mile from the new San Pedro Public Market, Space X Rocket & Spaceship Facility, Alta Sea Labs, Nelson One and other subsequent new developments), the new owner can capitalize on the resurgence of this strong rental market. Plus, there are plenty of local shops, restaurants, breweries, museums, transportation, parks, and Cabrillo Beach nearby for all to enjoy. This opportunity has immense potential and is the perfect property to start a portfolio with!